Hariri announced his resignation while visiting Saudi Arabia, and hasn’t returned to Lebanon since. Hariri quickly shot down rumors that he was being held against his will in Riyadh. “If I want to leave Saudi Arabia, I can,” the former prime minister told Lebanon’s Future TV. But he declined to state when he might venture forth. “Wherever Iran is, it spreads discord, devastation and destruction, as shown in its interference in the internal affairs of Arab countries,” warned Hariri, whose father, former Lebanese Prime Minister Rafiq Hariri was assassinated by Hezbollah 12 years ago. Saad is a Sunni Muslim, like the majority in Saudi Arabia, where he actually holds dual citizenship. And his sudden resignation has deepened the rift between Riyadh and Beirut, between Sunnis and Shiites. 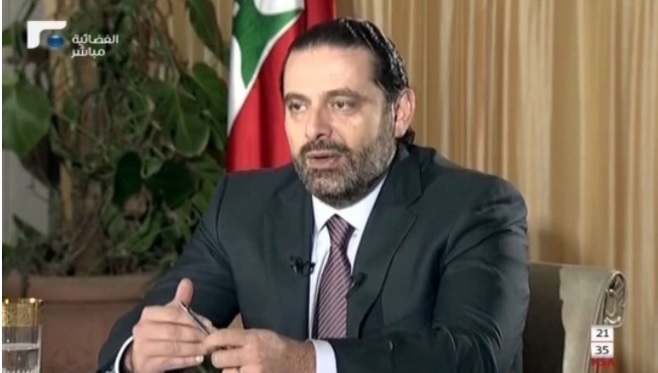 Riyadh blamed the Shiite militia Hezbollah for Hariri’s resignation, as well as the undermining of the political system in Lebanon. Iran’s Ayatollah Khamenei and Hezbollah leader Hassan Nasrallah shot back that Saudi Arabia is going mad, and will soon declare a war against all Shiites. They claim the Saudis forced Hariri’s resignation to facilitate a dangerous escalation between Israel and Hezbollah. Sources in Israel believe that the Jewish state itself provided Riyadh with the intelligence that ultimately compelled Hariri to resign. Israel has for years been sounding the alarm over Iran’s increasing power in Lebanon and neighboring Syria. As tensions grow, Israel has debated taking more severe military action against Hezbollah to curb Iranian influence and the threat to the Jewish state. But, according to Nasrallah, Saudi Arabia is the puppet master inciting war between Israel and Iran’s allies. What Israel and Saudi Arabia have in common is hostility toward Iran. Both countries view Iran’s nuclear program as an existential threat that must be stopped at all costs. It increasingly looks as though Israel will be called upon to do the “dirty work” in this regard, just as it has been doing in Lebanon and Syria.